Sysco Leasing Software celebrated the launch of its Aircraft Leasing Software at the 19th Annual AirFinance exhibition held at the Convention Centre Dublin, Ireland. Dublin is considered the epicentre of aircraft leasing activity in the world, with Sysco calling Dublin it’s home for more than 30 years. Aircraft Finance and Leasing is one of Ireland’s largest growth industries and is now firmly established as a global hub with more than 50% of the world’s leased aircraft being owned and managed in Ireland. The AirFinance Conference brought together an international community of delegates with a strong focus on financing and leasing. 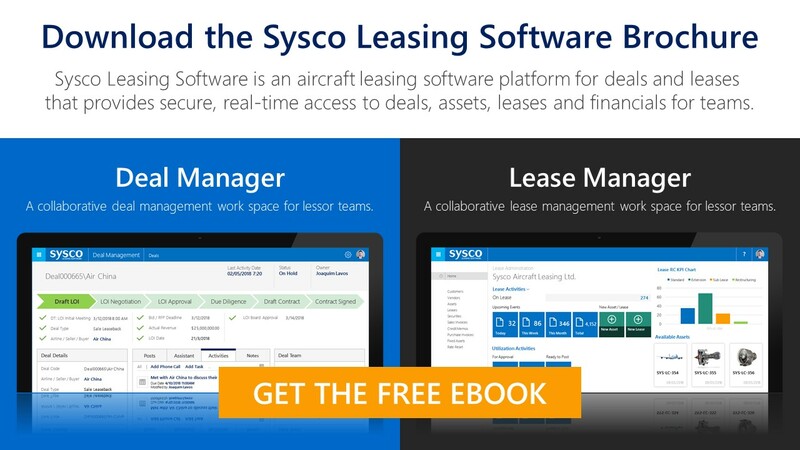 Sysco Leasing Software would like to thank all of the airlines, delegates and organisers of the event for meeting and engaging with the Sysco Leasing Software team to learn how leasing companies in the aviation industry can benefit from a complete aircraft leasing management solution built on Microsoft Dynamics.